3-D Mammography Test: A New Way to Improve Breast Cancer Detection Rate? NYTimes article by Denise Grady sheds new mammography test that could save lives. There is a newer test to digital mammograms can increase the detection rate for breast cancer and decrease nerve-racking false alarms and unnecessary procedures that do not find cancer. The new test is called tomosynthesis or 3-D Mammography. This test differs from a mammography, which is usually stationary, because tomosynthesis moves around the breast. “Tomosynthesis takes many X-rays at different angles to create a three-dimensional image of the breast. It was approved in the US in 2011(Denise Grady 1).” The test is being described as promising because it is supposed to be a more sensitive and accurate way to detect cancer. These results are all positive and beneficial including the fact that this test increases the amount of biopsies that women get: “Although tomosynthesis resulted in more biopsies, more were positive for cancer: 29.2 percent versus 24.2 percent with digital mammography alone” (4). The test also uses more radiation than mammography alone; however, it is so low that it is considered safe. There are also concerns with the high cost of the test. Some have noted that only wealthy facilities and patients will be privy to this test. This is an unfortunate reality; however, there is the hope that if the test becomes widely accepted, it will become more affordable. Essentially, it is the patient’s choice whether or not to undergo testing and/or procedures. While 3-D mammography is promising, it still needs to be thoroughly studied. 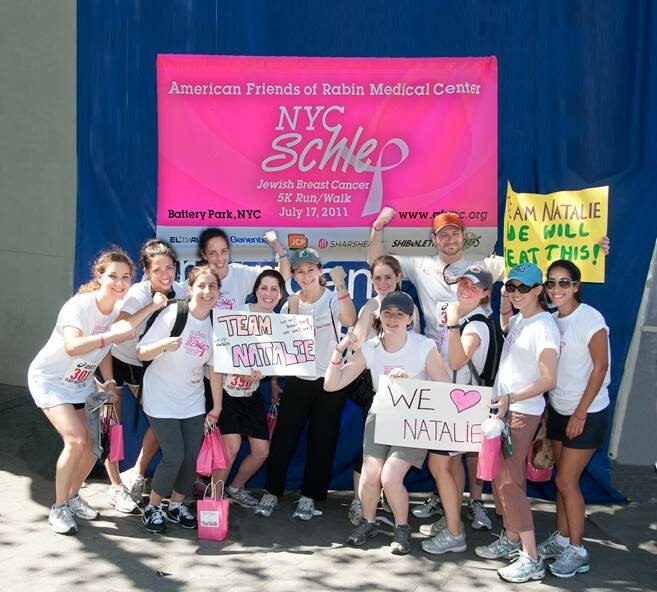 AFRMC held a Breast and Ovarian Cancer Run/Walk in Battery Place, NYC on Sunday, June 22. Benefits went to BRCA gene testing and further cancer treatments and research. Israel’s Rabin Medical Center offers state-of-the-art cancer treatments at the Davidoff Cancer Center. For more information and to donate click here. Jewish Week Article about our Schlep!